This daily skincare product is ideal for combination and oily skin with permanent face shine. With its fresh, non-oily texture, it restores the exquisite softness of velvet skin while providing a sensation of freshness and lightness. - AN INCREDIBLE MATT FINISH. Excess sebum is absorbed. - A VISIBLY MORE EVEN COMPLEXION. 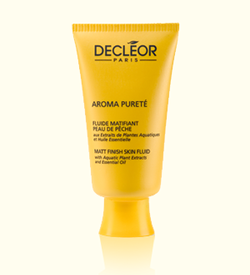 Dead cells are gently eliminated and pores tightened. - A “DEEPLY” PURIFIED AND REBALANCED EPIDERMIS. Imperfections diminish; excess sebum production is limited and rebalanced. - A PERFECTLY MOISTURISED EPIDERMIS. Particularly dry areas are continuously replenished. The skin regains its optimum moisture levels. Morning, apply to a clean face and neck after using Aroma Night Ylang Ylang. Essential Oil of Ylang-Ylang, Purifying and Balancing Complex (White Water Lily, Willow and Epilobium extracts), Aquatic Phyto-Complex (Bamboo, Lotus and Water Lily). Water, Cyclopentasiloxane, Dimethicone/Vinyl Dimethicone Crosspolymer, Cyclohexasiloxane, Polyethylene, Butylene Glycol, Glycol Palmitate, Methyl Methacrylate Crosspolymer, Cetearyl Isononanoate, Pentylene Glycol, Glycerin, Propylene Glycol, Panthenol, PEG-32, PEG-6, Cananga Odorata, Flower Oil, Water Lily Flower Extract, Bamboo Extract , Nelumbium Speciosum Flower Extract, Willow Bark Extract, Willowherb Extract, Alteromonas Ferment Extract, Myristyl PCA, Steareth-10, C12-14 Pareth-12, Dimethicone Crosspolymer, Triethanolamine, Fragrance, PEG-60 Almond Glycerides, Caprylyl Glycol, Sorbitol, Acrylates/C10-30 Alkyl Acrylate Crosspolymer, Carbomer, Hydrolyzed Wheat Protein, Tetrasodium EDTA, Linalool, Benzyl Benzoate, Sodium Stearate, Zinc Gluconate, Nordihydroguaiaretic Acid, Oleanolic Acid, Sodium Chloride, Phenoxyethanol, Methylparaben, Butylparaben, Ethylparaben, Isobutylparaben, Propylparaben. Absorbs really well, moisturises at the point of use, easy to use bottle. I did think this would have been a good product, however I was wrong. When you first use it, your face is moisturised however this did not last long at all. After a few hours I needed to re-moisturise my face. It absorbed really well, product is really thin so maybe that is why it isn't long lasting. Scent is nice, bottle is ugly but easy to use. For those with combination / oily skin - you need to try this! 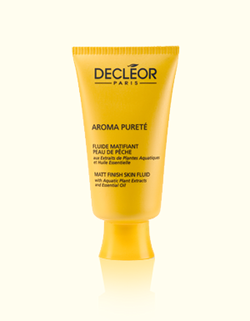 It makes the skin matte and has decent oil-control properties! The scent is wonderful (I tell you about this because I'm allergic to synthetic fragrances and can easily get a headche from some scents).